What if Philly just, like, doesn’t lose in 2019? 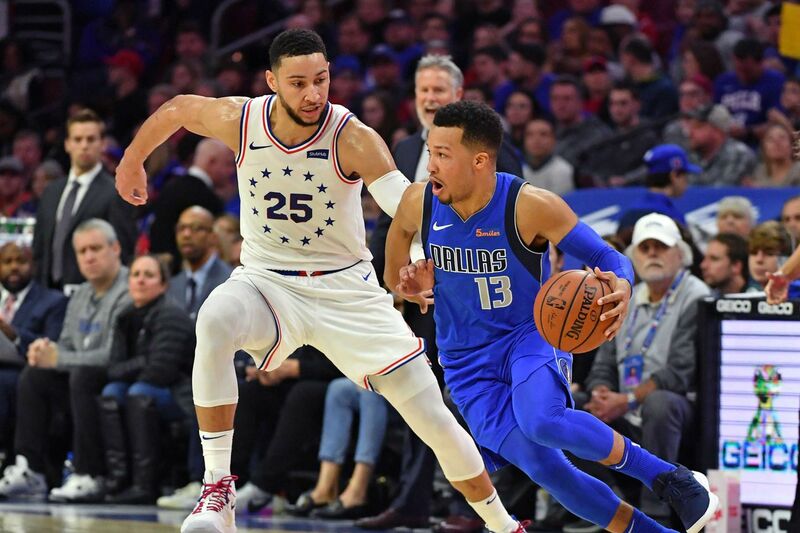 The Philadelphia 76ers (26-14) are off to a 3-0 start in this new year, 2019, and they’ll look to turn that into 4-0 on Tuesday night as the Sixers get ready to kick off a home-and-home, back-to-back against the Washington Wizards. Most years, that’s a scary proposition — the Wizards have spent a few years now as a perennial playoff contender, riding a core of John Wall, Bradley Beal, and Otto Porter Jr. to the middle seeds in the East. The 2018-2019 season was suppose to look similar, but friends…it has not. Washington (16-24) sit 11th in the East, and while a playoff spot is certainly not unattainable, the fact that they’ve lost John Wall for the season to heel surgery makes it tough. They’ve won two of their last three games thanks to strong contributions from Porter, who was excelled off the bench in his return to the lineup after missing time with a knee injury. Washington has also gotten production from Jeff Green and Wall’s replacement, Tomas Satoransky who, in the five games since Wall’s season ended, has averaged 13.2 points on 47.1 percent shooting to go along with 4.2 assists and 5.2 boards per game. In his third NBA season, Satoransky is looking like a hidden gem for the Wizards. Of course, the Sixers have the advantage in this game because they’ve got Joel Embiid and the Wizards are currently playing Thomas Bryant at center. Bryant is a capable NBA big, but Embiid has started 2019 off with 31.7 points per game and 16.3 rebounds. Yes, that’s a three game sample and three game samples don’t really mean that much, but the Wizards, who allow the third-most points per game in the NBA and the ninth-highest two-point field goal percentage aren’t well equipped to stop Embiid. Obviously, Jimmy Butler looms over everything for the Sixers. After questions emerged about his role with the team, Butler sat out the past two games due to an upper respiratory infection. But Butler is back at practice and should suit up for tonight’s game, raising Philadelphia’s ceiling in a game where they’ll already be favored. Brett Brown has said he wants Simmons to keep taking these shots, so we’ve got something else to keep an eye on now!